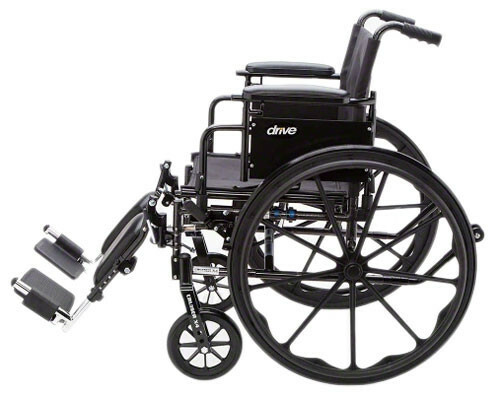 Cruiser III Wheelchair with Removable Arms is a high-quality, top-notch wheelchair at a reasonable, low price. 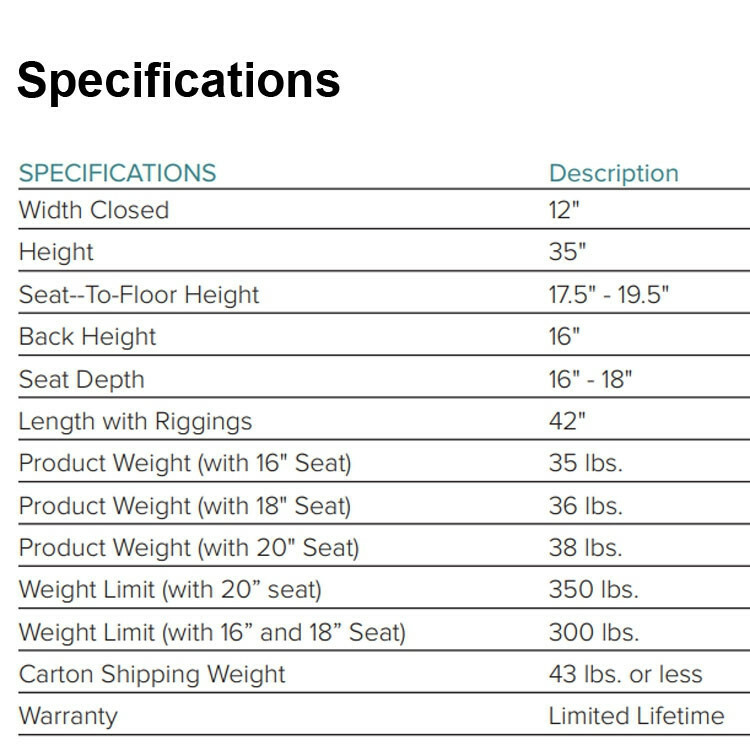 In fact, this chair is so stocked that you might not even believe what you are getting for the price. 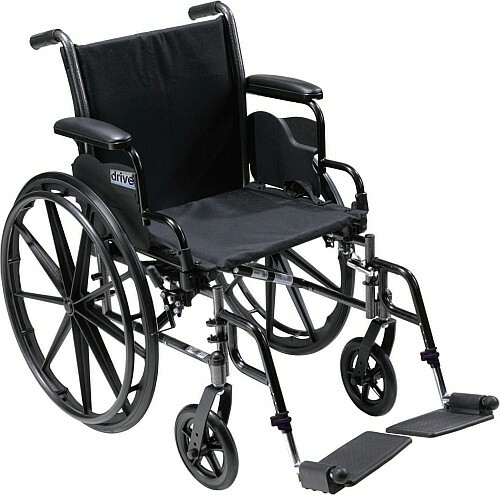 You get your choice of various arm styles and front riggings for the tough-as-nails carbon steel frame. 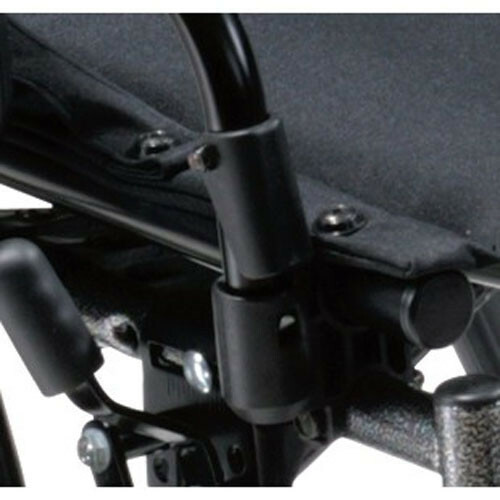 This frame has eliminated the need the need for seat guides, allowing for custom back inserts and myriad accessories. 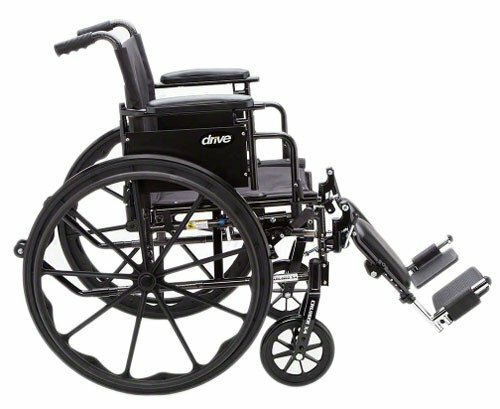 The beautiful silver vein finish adds a level of style and class, and being completely easy to clean, makes the Cruiser III a very attractive wheelchair. 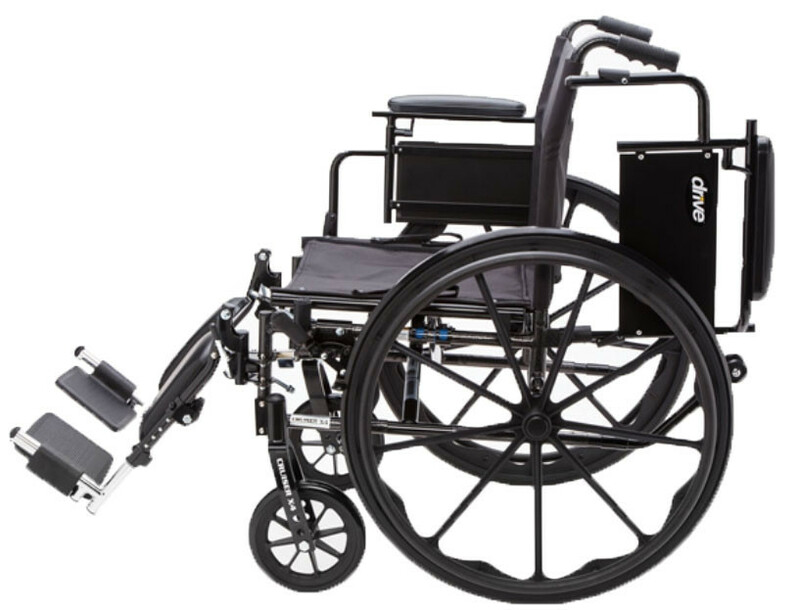 The Cruiser III Wheelchair with Removable Arms features a precision sealed wheel bearing, in both the front and the rear, which ensures long lasting performance and reliability. 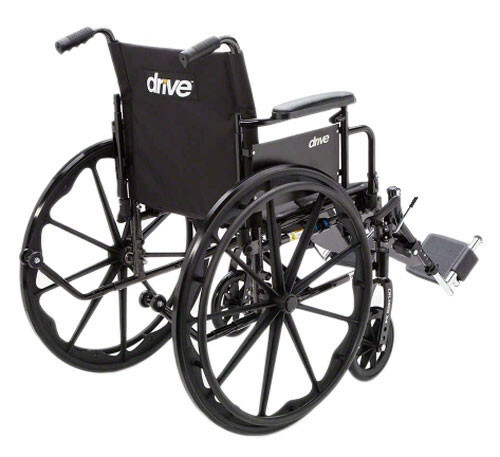 It also contains sturdy 8" front caster wheels for a smooth ride over most surfaces. 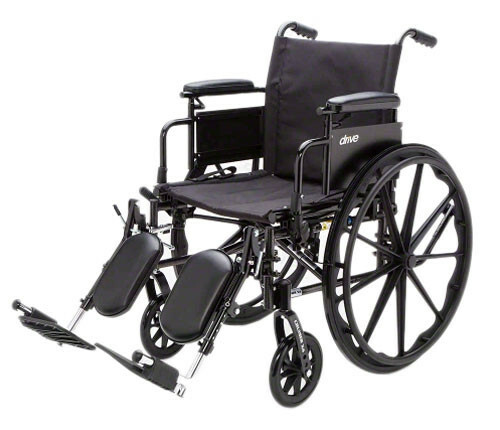 The dual axle and removable, flip back arms make transfers easy. 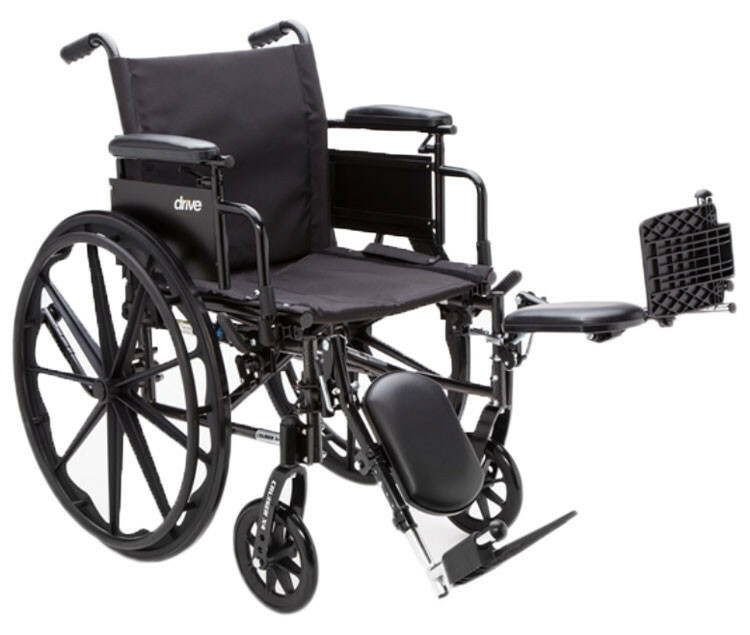 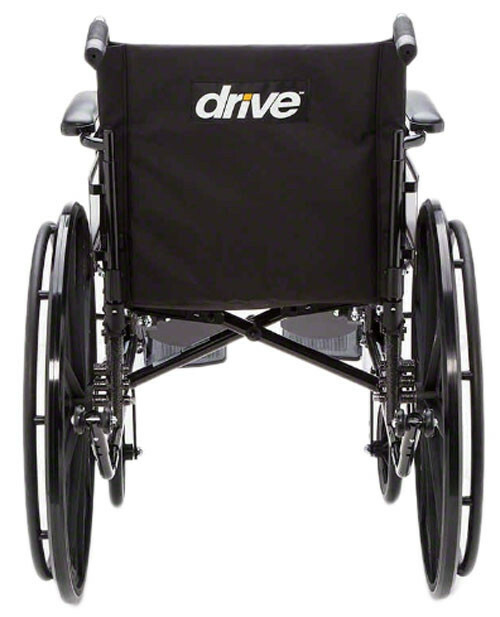 Available with detachable flip back arms, swing away or elevated footrests, black nylon upholstery, composite Mag-style wheels and push-to-lock wheel locks. 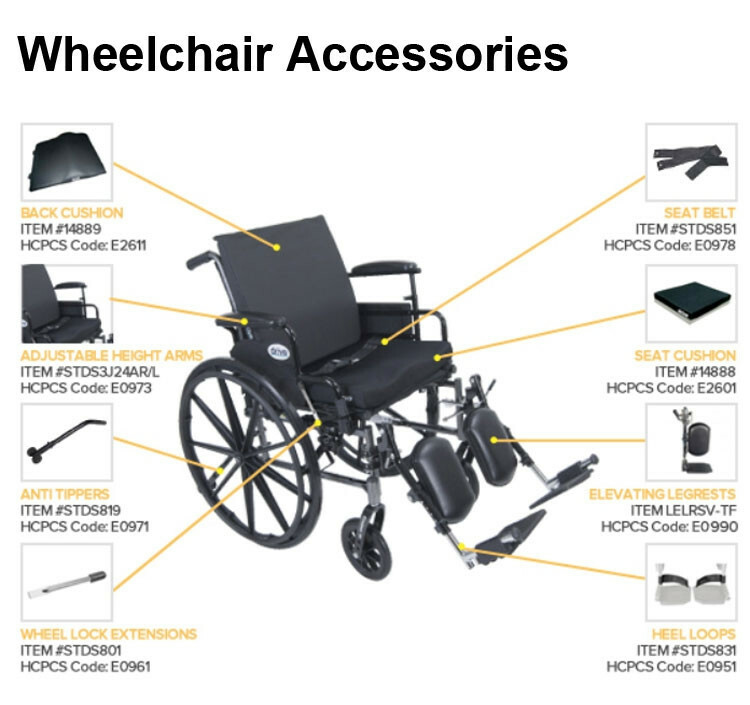 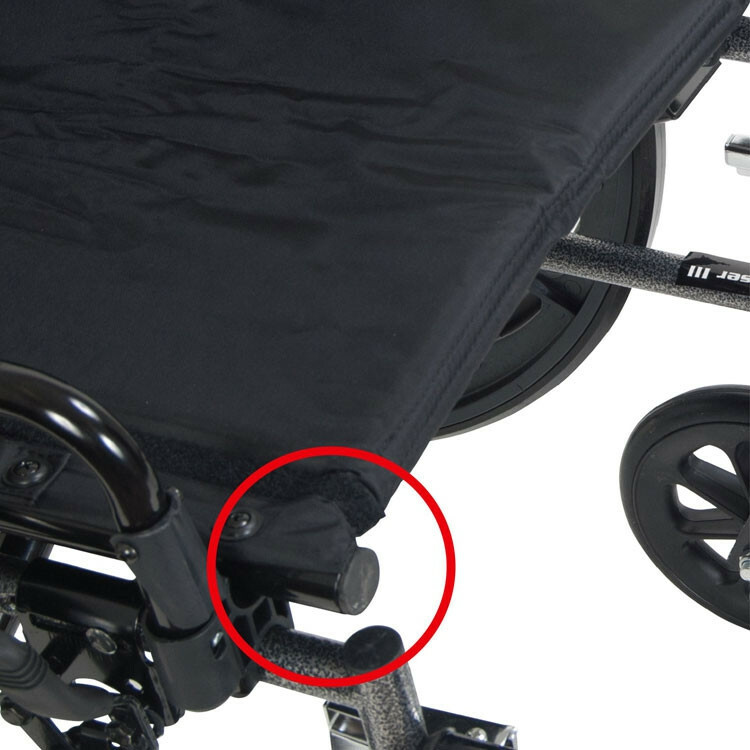 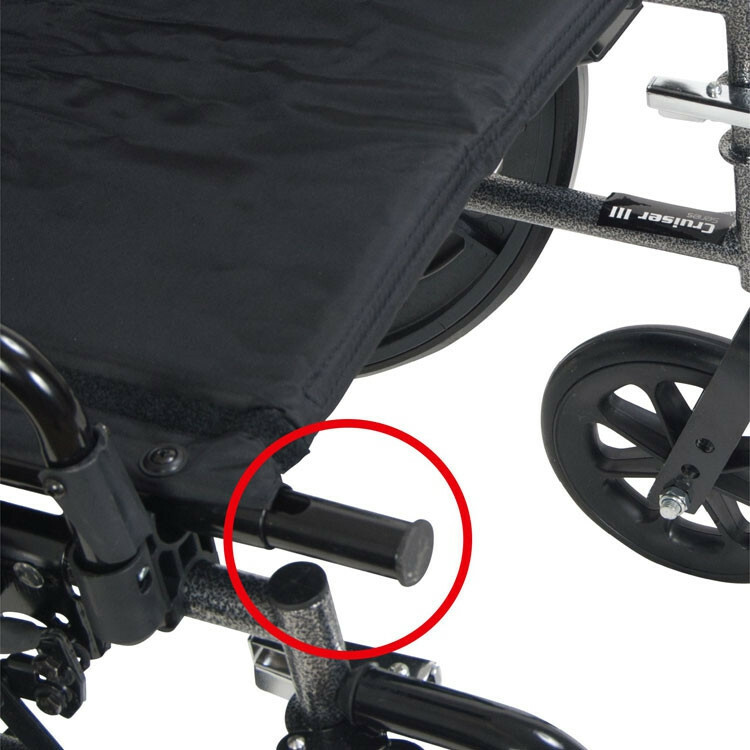 Vitality Medical also carries other items that would pair well with the Cruiser III Wheelchair, such as the 3 Inch GEL Wheelchair Seat Cushion Deluxe SKIN PROTECTION by Drive and the Wheelchair Bag Carry Pouch Accessory. 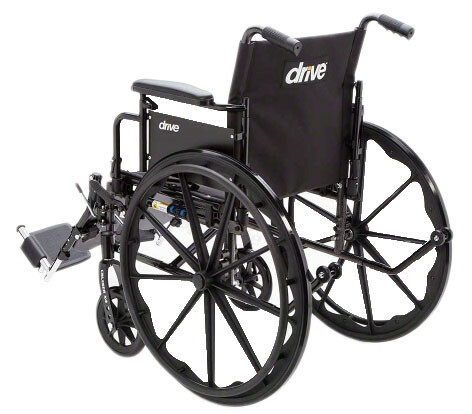 Composite, Mag-Style Wheels Are Lightweight and Maintenance-Free. 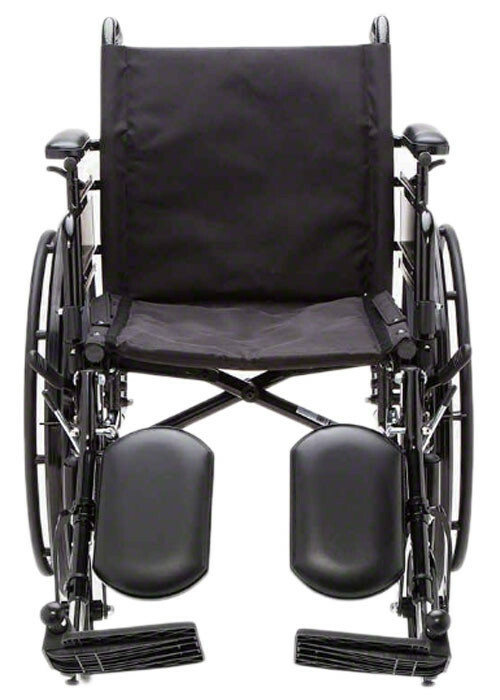 Lightweight, Dual Axle (K0003) Weighs Under 36 lbs (Excluding Front Riggings). 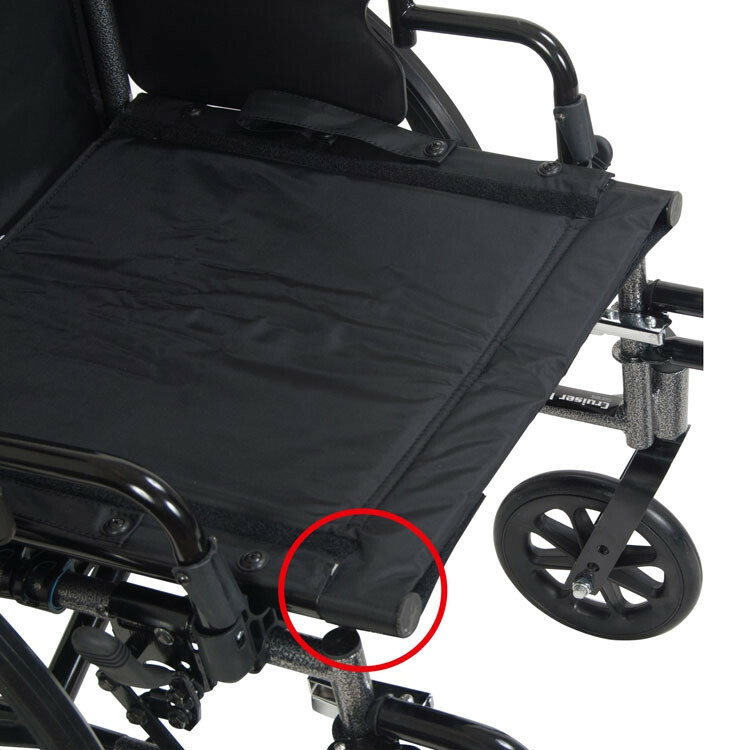 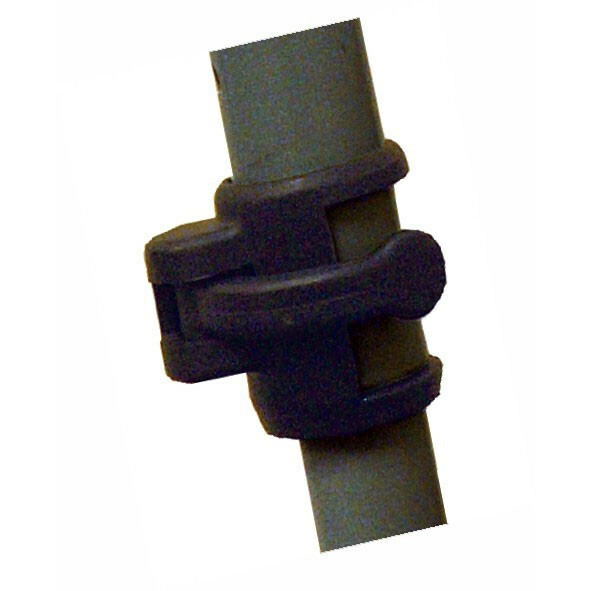 Tool Free Adjustable Front Riggings (Footrests, Leg Rests). 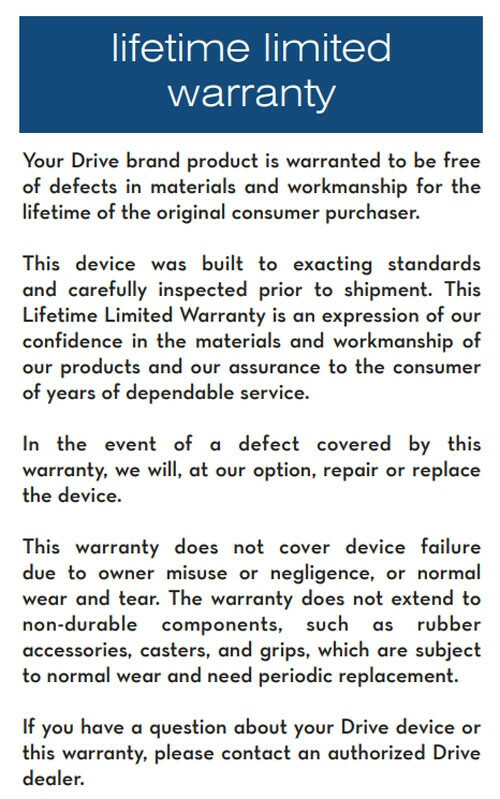 Catalog Page contains features and benefits for this product. 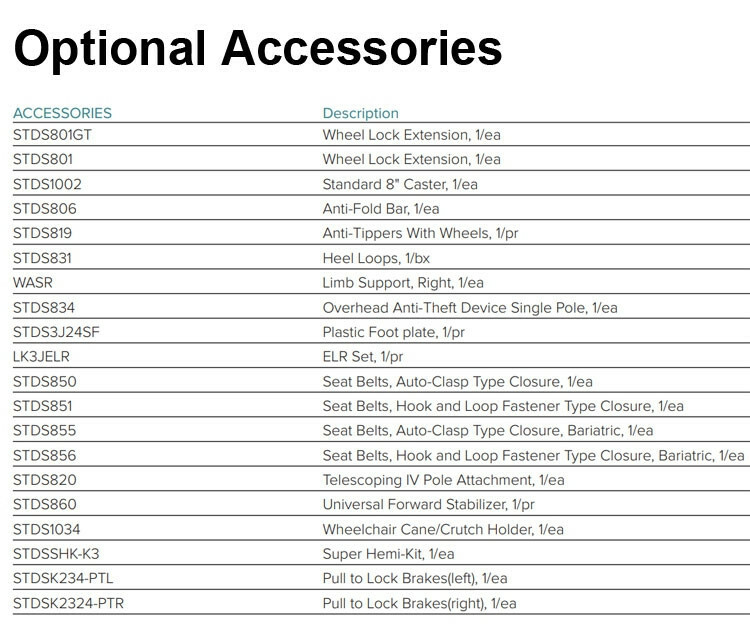 Replacement Parts provides a parts diagram and skus. 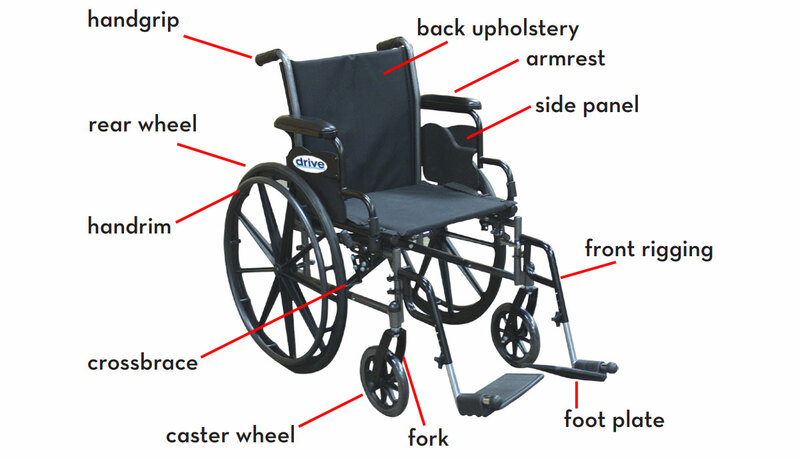 User Manual for the Cruiser III offers information for product care and maintenance.